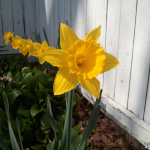 A row of daffodils in full bloom. 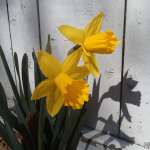 A couple of daffodils in full bloom. 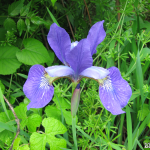 An overhead view of an iris in bloom. 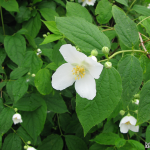 A mock-orange flower in full bloom. 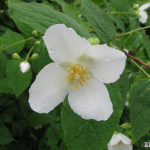 A close-up view of a mock-orange flower in full bloom. 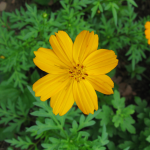 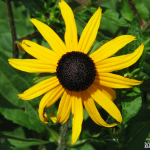 A yellow coneflower in full bloom. 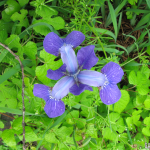 A dwarf cosmo in full bloom. 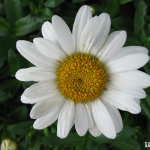 An ox-eye daisy in full bloom. 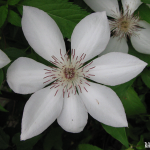 A Henryi clematis in full bloom. 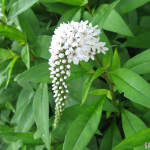 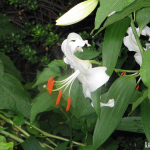 A white lily in full bloom. 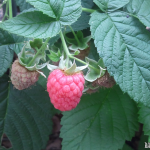 Some raspberry fruits on a bush, with one fully ripe. 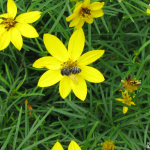 A bald-faced hornet gathering nectar from a Moonbean Coreopsis. 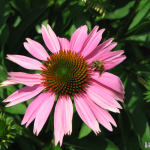 A honey bee gathering pollen from an echinacea purpurea. 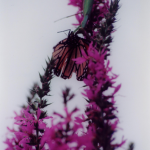 A praying mantis consuming a monarch butterfly while standing on a Showy Tick Trefoil. 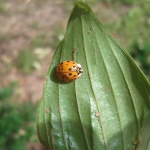 A ladybug lounging on a hosta leaf. 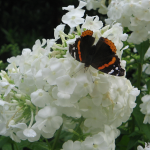 A red admiral butterfly collecting nectar from a white hydrangea. 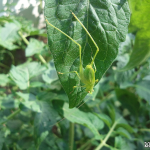 A broad-winged bush katydid blending into the leaf of a tomato plant. 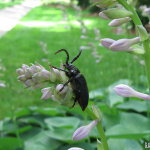 A male broad-necked root borer beetle lounging on a flowering hosta. 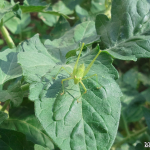 Another angle of a broad-winged bush katydid blending into the leaf of a tomato plant. 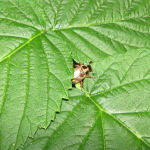 A japanese beetle, hiding within the leaves of a raspberry bush. 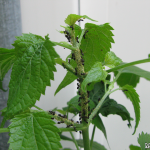 Worker ants farming aphids on a raspberry bush. 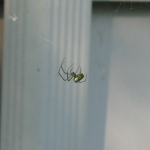 A venusa orchard spider standing on a web. 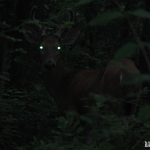 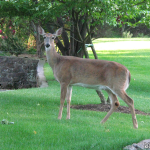 A white-tailed doe walking through a large front yard in Wayne, NJ. 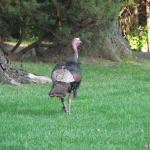 A wild turkey walking through a large front yard in Wayne, NJ. 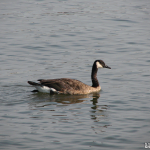 A Canadian goose swimming in the Hudson River.